Jessica Ennis-Hill needs little introduction. She is one of Great Britain’s foremost, and beloved, athletes and was the golden girl of London 2012 as she became the top heptathlete on the planet. The image of Jess winning her final event – the 800 metres – and crossing the line, arms aloft, to become Olympic champion is a now iconic image. 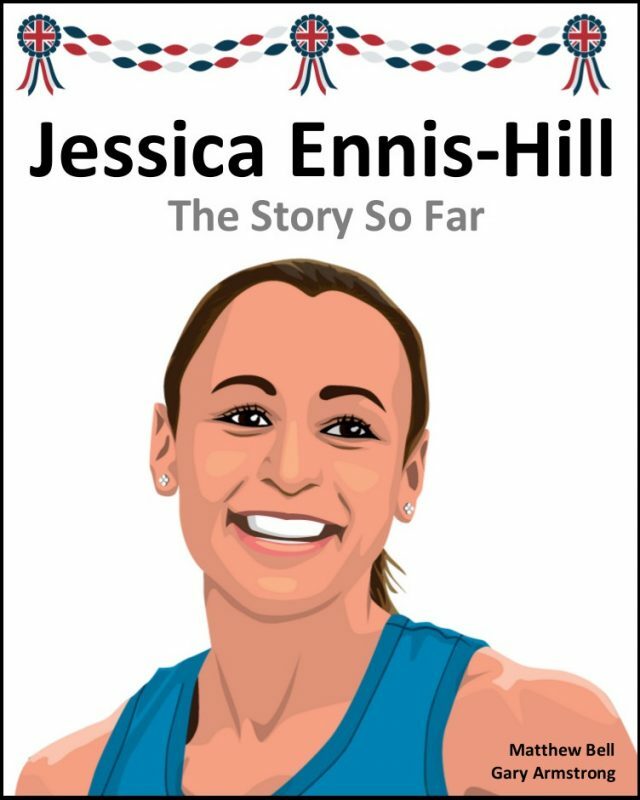 In “Jessica Ennis-Hill: The Story So Far” – Jess’s tale is explored; from her humble beginning in Sheffield through the years of sweat and stress to Daegu and the London Olympics, this insightful and exquisitely researched biography offers a complete history of ‘our Jess’. Detailing her early years, her athletic history, and post-Olympics endeavours (including motherhood) the book includes insights from her coach Toni Minichiello, and numerous important people to the Ennis-Hill story. Note: this book is an expanded version of Jess’s story from the acclaimed book Steel and Grace: Sheffield’s Olympic Track and Field Medallists, up to the start of May 2015.